I am mother to many globally including my own five children and I have a passion to aide and serve the public, a intense speaker, a writer as well as a lover of the arts. I am also the Founder of nonprofit organization Queen Sheba Village, Inc in Maryland, USA operating in Senegal, West Africa to promote educational empowerment to impoverished women, girls and children at large to support their families to independent sustainability. More than 125 million girls and women alive today have been cut in the 29 countries in Africa and Middle East where FGM is concentrated (1). UNICEF. Female Genital Mutilation/Cutting: a statistical overview and exploration of the dynamics of change, 2013. For more updated information on female genital mutilation click here. Queen Sheba Village Inc. (QSV) organization is a licensed non-profit in the state of Maryland, USA which is dedicated to improving the well-being of women and children in rural Senegal. QSV focuses its efforts on education, micro-finance entrepreneurship, financial literacy training, and on the current construction of a women’s facility. We also collect and distribute gifts and items in-kind, such as school supplies to bring to the children of Senegal. Donation online is an easy, secure way to contribute to Queen Sheba Village. Your contribution is tax deductible as we are an official 501c3 organization. 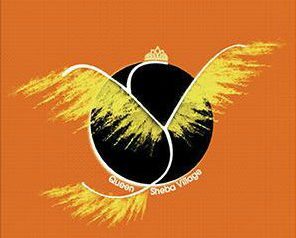 You may also make recurring donations to Queen Sheba Village by clicking the donation button below. All contributions help us make a difference in the lives of the communities we serve. We also accept donations from international donors.